Do you like this idea? Is this the right decision? Are we OK? The source of self-confidence for a High B are valued other people with whom the High B interacts. The High B drive is a social drive. It wants to interact with others to receive reinforcement, confirmation, and to develop empathy. The interaction may be complex. A High B may be seeking approval or to avoid the disapproval of others. Approval from others gives a higher sense of self-esteem. It can be both intellectually and personally validating. “This is a good decision. I am smart and therefore make good decisions.” Or, verbalization may be used as a tool in thought development. High B’s frequently want to “talk out” problems or stressful situations they are experiencing not just to seek solutions, but to express or determine the proper emotion they are or should be feeling in that situation. Sometimes by collaboration and bouncing thoughts off valued other people, High B’s are better able to finalize and formalize their own thought processes. Contrast this style to internal decision makers who self-analyze all options and possible outcomes and never talk it through with others. Connecting with valued other people also displays or builds empathy. Are you familiar with the phrase, “misery loves company?” There is a modicum of truth to that for the High B drive. Although a High B going through a stressful situation doesn’t necessarily want others to be similarly situated, they do want to be noticed, feel appreciated and receive some recognition of their situation through the company of others. That is why an offer of help or assistance is so meaningful to a High B that is struggling or challenged. The simple phrase, “Can I give you a hand” is actually interpreted by the High B as being told, “I can see that you are working hard on something significant and I would like to help you.” There is personal validation. In such cases, the validating offer can be more meaningful than the real help or assistance (if any) provided because of the personal connection perceived by the High B. 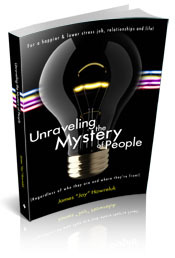 The practice of “thinking out loud” by a High B also builds connections with others. 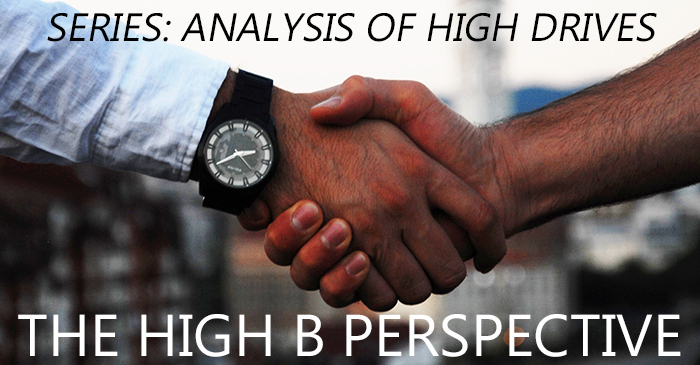 By seeking the opinions of others, the High B is implicitly communicating to that person that their opinion has value to the High B. Why else would I be asking? That builds connections and fosters engagement and buy-in by others. Be sure to give High B profiles opportunities to connect and build relationships in the workplace. It is essential to their thought development and will improve their self-confidence!